YES! You read that right. TWO ingredients for these simply delicious treats. Plus, they're healthy! No butter, oil, or sugar. Love handles, no love for you! Sorry, I'm not sorry. I came up with delicious mix-ins you MUST try. 1/4 cup of Speculoos (Biscoff/Cookie Butter) + chocolate chips + cinnamon --> Amaze-balls. 2 Tbsp brown sugar + cinnamon (aka. a bowl of oatmeal in cookie form!) --> Mmm. 1/4 cup Nutella + chopped hazelnuts --> Hazelnut-y heaven. 1/4 cup PB + chopped peanuts --> Peanut-y perfection. 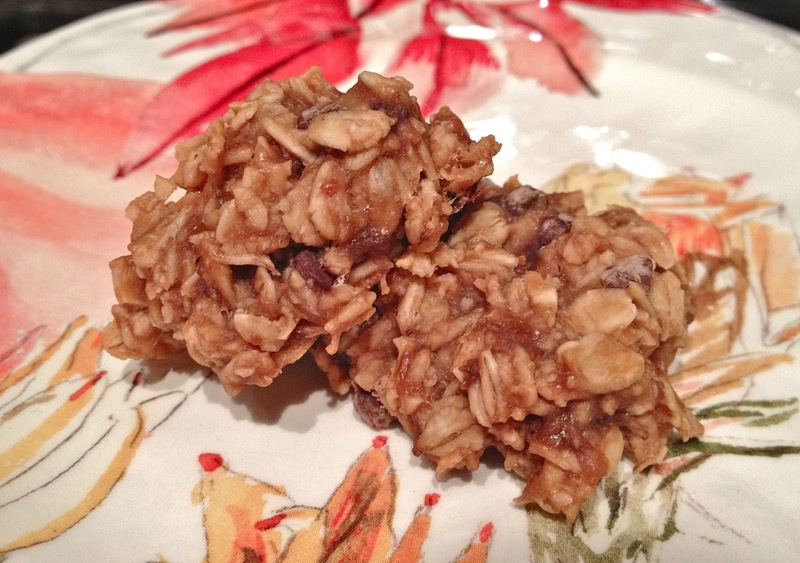 1/4 cup PB + chocolate chips --> YUM. 1/4 cup PB + Nutella --> Who wouldn't love this combo? Preheat your oven to 350F. Line your baking sheet with foil and generously grease the foil (I used spray cooking oil) since these babies like to stick! Trust me. Mash the bananas with a fork and add the oatmeal. Mix everything together with the fork. Once it's all mixed well, drop dollops of your cookie mix onto the oiled baking sheet. My dollops were a little over a Tablespoon in size. You don't need to leave much space between the cookies since they won't spread. 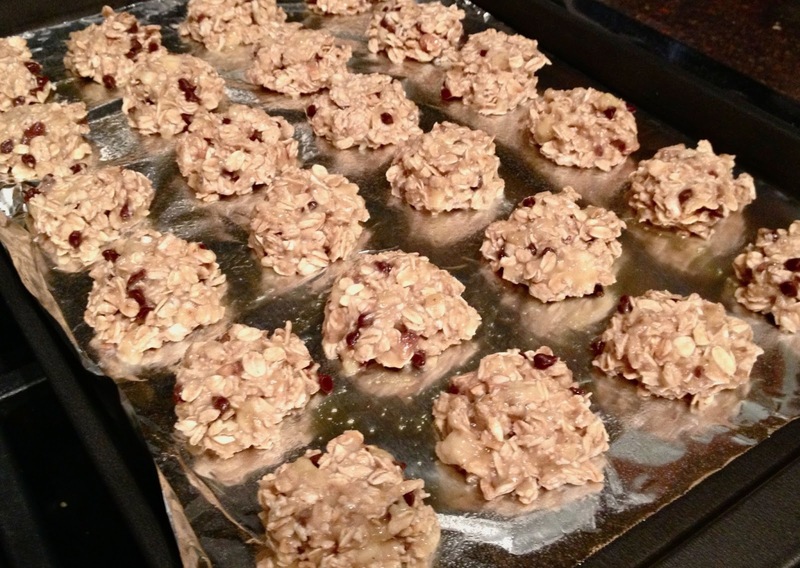 Pop them in the oven for 15 minutes or until the oats have turned a golden brown. Remove and let them cool a bit. What are you favorite combos? Did you try something different?